Cheryl Lee has jo ined Helsell Fetterman’s business transactions and real estate practice groups. Cheryl delivers a broad range of transactional legal services to individuals, family-owned businesses, and closely held corporations, and does so with the unique perspective and insight from over 20 years as an executive with Boeing’s Commercial Airplane Group and Microsoft Corporation. Cheryl graduated from the University of Washington with a B.S. in Mechanical Engineering in 1990. 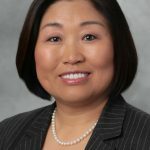 She spent the next ten years at Boeing’s Commercial Airplane Group working with international aircraft leasing companies before enrolling in the University of Washington’s Foster School of Business. After earning her MBA in 2001, Cheryl spent the next eleven years applying her degrees and experience at Microsoft where she led efforts at international marketing, product management, and enterprise business development, including a two-year stint in its Singapore office working with global partners Samsung and LG. In 2013, Cheryl enrolled in the University of Washington School of Law, receiving the Asian American Bar Association Scholarship, Korean American Bar Association Scholarship, and the CALI Excellence Award for Top Performance in her “Strategic Commercialization of IP” course. Cheryl served as Articles Editor for the Journal of Law, Technology and Arts, advised start-ups in the Entrepreneurial Law Clinic, externed for King County Superior Court Judge Richard Eadie and interned for Amazon supporting Amazon Prime Now. During her years at Boeing, Microsoft and at the UW, Cheryl remained very active in the community. In 1997, when residents decided to incorporate Shoreline as its own city, Cheryl was elected to the Founding City Council where she served for two terms and was instrumental in launching the city and all of the infrastructure and services the city now provides. Cheryl was also the founding president and board member of KAC-WA, now a 4,500-member community empowerment and development organization. Her numerous awards include the Northwest Asian Weekly Foundation’s “Living Pioneer Award” and International Examiner’s “Community Voices Award.” In 2014, the South Korean government recognized Cheryl for her services to the Korean American community by honoring her with the President’s Commendation Medal. In addition to her legal practice, Cheryl is active in the Korean American Bar Association of Washington and Asian American Bar Association of Washington.